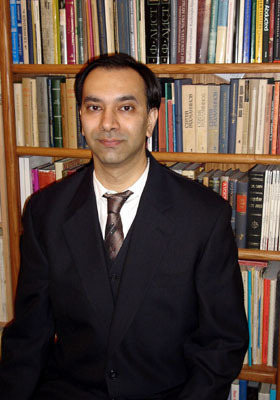 Farhan Malik’s extensive knowledge of historical pianists, piano literature, and the evolution of performance styles has made him a sought after lecturer, writer, teacher, and critic. His numerous articles and discographies have appeared in the world’s leading piano journals, including International Piano (formerly International Piano Quarterly). His published surveys covering the recorded legacy of specific works have set new standards in the field of criticism. Farhan Malik has studied recorded piano performance from the beginning of the recording era through the present day. He is a serious collector of piano recordings and has amassed a world-class collection of historically important piano recordings. He has worked with several CD companies on historical pianist projects, including Marston Records with whom he produced the acclaimed 3-CD set The Complete Recordings of Emil von Sauer, and with Philips Classics on their “Great Pianists of the 20th Century” 200-CD edition. Considered an authority on the Russian piano tradition, he has written extensively on Vladimir Sofronitsky, Sviatoslav Richter, and Alexander Scriabin, among others. His discography of the complete recordings of Vladimir Sofronitsky was published in International Piano Quarterly. He has done much work to promote the works of Alexander Scriabin and was asked to serve on the board of directors of the Scriabin Society of America. His discography of recorded Scriabin was published by the Scriabin Society in 1997. Another area in which he has specialized in is neglected piano literature of the 18th and 19th centuries. Among his future projects are a book on 19th-century piano interpretation and how it compares to the present day, a listener's guide to piano recordings, and an encyclopedic catalogue of 78rpm piano recordings. Farhan Malik holds both B.M. and M.M. degrees in piano performance.